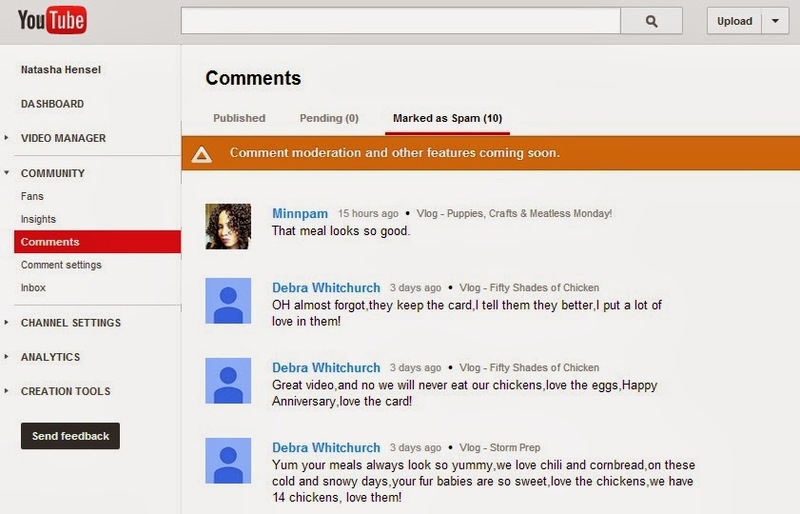 Clever Soiree: Where's My YouTube Inbox? 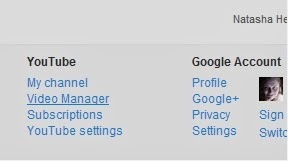 Today the Inbox option no longer appears in the same place on YouTube, thanks for the change with no notice. Go to your Video Manager selection once logged into your account. Before 1-7-2014 the left hand navigator has a direct Inbox link option but not today. To find it, click on Community option. Community Settings allow you to create some filters to prevent certain content from even posting on your videos. For example, you can add key words that you would NEVER want to appear - hate speech for one. These are additional options for the Default Settings. When you click on the Inbox the view is still the same but as you can see to get to it there are a couple of additional steps. Comments section shows Published, Pending (if you set them to be approved) and Marked as Spam which I would recommend you check, most of mine were not spam. There does not appear to be an option to approve multiple comments at the same time so when you scroll over the video name you can go directly to the video to approve it there. The bold comment that moderation and other features coming soon makes me think that this option will be available at some point. Here is another view of several comments I need to approve. In addition, there is an Insight option that keeps producing a code error so I could not share what it looks like, yet. I will check back till it's live and add the information here. Here you can see the viewers who have been most engaged in your channel. You can Sort by Engagement, Subscribers, Oldest, Newest and View by Google+ Circles. I will continue to poke around these changed and add anything I discover here. Just wanted to give everyone a heads up on the relocated and barred Inbox. If you ever have YouTube questions, feel free to ask. I might know the answer and if I don't I'll do a little research to find it.